Before the success of "Blue Lights" and her debut LP Lost & Found, Exclaim! cover star Jorja Smith stole the spotlight on Drake's More Life cut "Get It Together." Now, another collaboration from the two has surfaced online. Titled "I Could Never," the track is a stark antithesis to the groovy house of their previous collab. 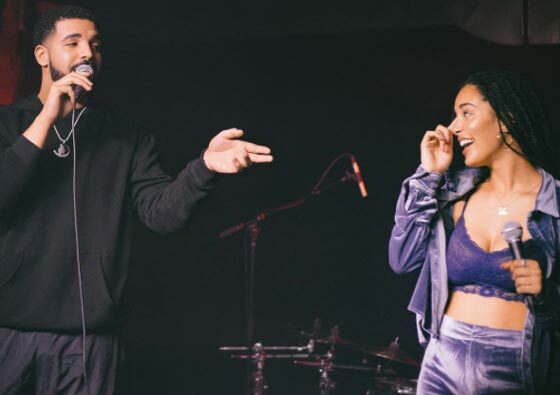 The slow-burning leak finds Drake gently crooning over solo piano before some electric guitar finds its way into the mix, giving way to Smith's second verse. While the track has yet to receive an official release, you can hear it in the player below. Drake recently appeared on French Montana's new single "No Stylist." Smith will bring Lost & Found to North America on tour this coming November.